The hiking trails are closer to being ready and things are looking good for a potential spring opening. We have Robert McNiece and Matt Wallace of the County to thank for moving this idea along and working to see great trails are created. We also have many Mountain to See Trail [MST] volunteers headed up by Greg Yahn to thank for all their work on the trails and its design. In their January workday, MST folks took out 14 bags of garbage in a major clean-up. Phase 1 of the trails –which may open this spring–is slated to be followed by a Phase 2 expansion which will include loops as well as a through path for Mountain to Sea hikers. The possibilities here are great. 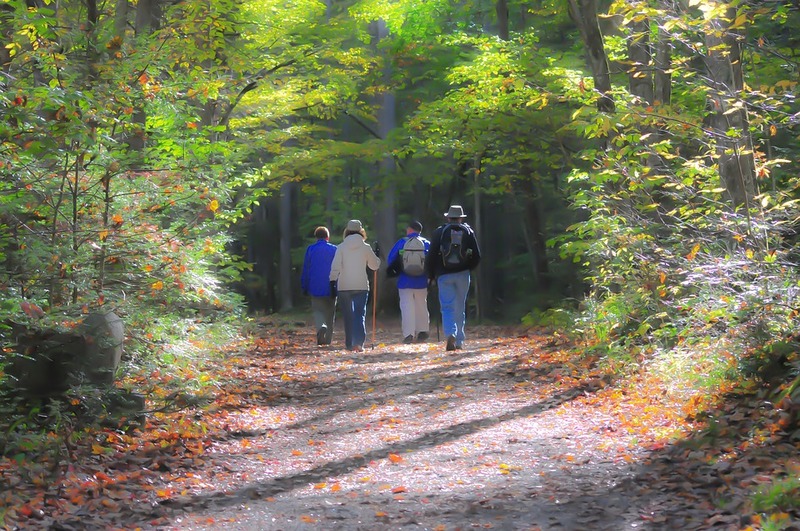 Nearby community folks as well as through MST hikers will be able to enjoy paths through beautiful woods, along Travis Creek, and on the high fields of the County Farm. The wonderfully designed trails are very near densely populated areas of Burlington, Gibsonville and Elon. Future educational walks are being discussed. Some of Gibsonville and Elon’s popular restaurants may become even more popular…. Hopefully, within months we will have an opening date, and we all get to see our mission of Public Lands for Agricultural and Community Enrichment advanced. Thank you for all your support and all you have done to make this possible. Letters to the editor regarding the Prison Farm. ← What does this mean for the County Farm?